Sometimes, all you need in life is a Peter Stuyvesant cigarettes to let off some steam and relax. It doesn't even matter which brand – you'll take any brand as long as it's cheap enough. Problem is, most cigarette brands you find in convenience stores and in corner stands are expensive. Who has the money to buy a pack of cigarettes today? Well, guess what. You do not have to buy your cigarettes on the street anymore. You can buy them online and you can buy them for cheap. Where? At Duty Free Depot, of course. Duty Free Depot is the place to go when you want a cigarette. Any cigarette. The online stores offers a huge variety of all types of cigars and cigarettes (including e-cigarettes for those who are trying to quit), as well as many useful accessories such as lighters or spirits. Prices are great to begin with but occasionally you can also find discounts, coupons or special deals, so it's always good to browse through the site and see what's on offer. 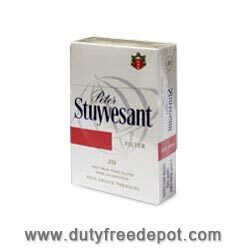 An example for cigarettes you can buy on the site is Peter Stuyvesant cigarettes. These inexpensive cigarettes, highly popular in Australia and South America, are characterized by their strong flavors and unique blend of premium tobaccos. When you buy them, order a large quantity of cartons or boxes: this way you won't run out of cigarettes soon, plus, you'll save more money. Duty Free Depot offers much more than low prices: All the products on sale are of superb quality, plus, no matter if you live in the USA or anywhere else because we shipping worldwide. 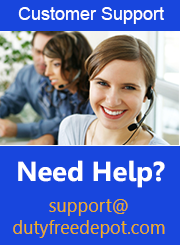 In case you encounter a problem, the kind, friendly team at the store's customer service, which operates 2:00 AM - 4:30 PM(EST) Sunday-Thursday 1-800-865-7043, will be happy to help.